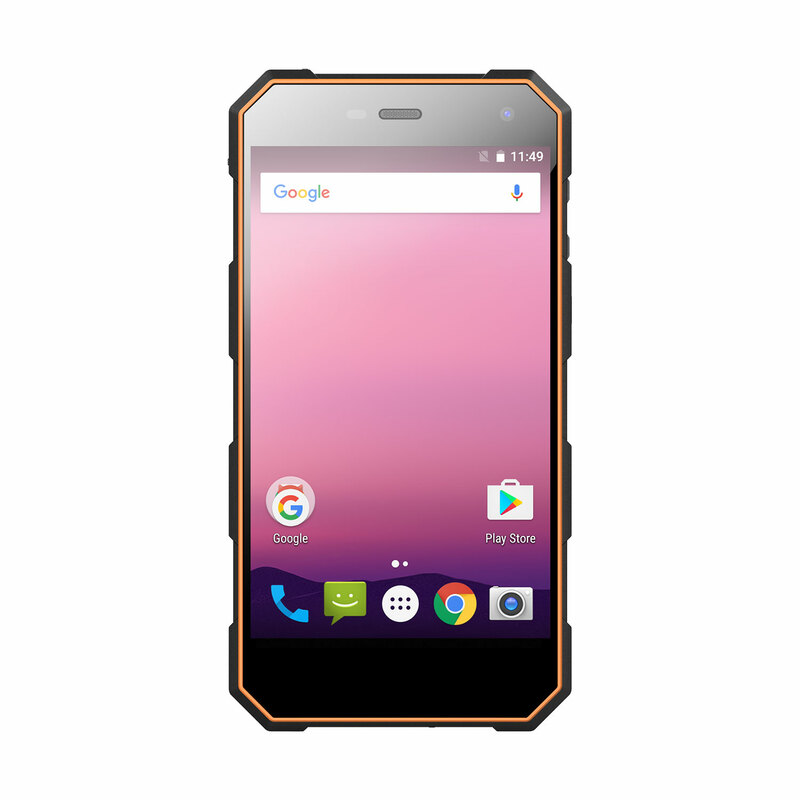 Successfully Added Nomu S10 Pro Android Mobile Phone - IP68 Waterproof,Dust-Proof,5000mAh,5 Inch,8MP Camera,3GB RAM,Orange, to your Shopping Cart. Made from world-famous high-end material and sophisticated manufacturing technology, durable and practical. 5000mAh large capacity battery guarantees you 30-hour conversation time and 40-day standby time. Android 7.0 OS along with 64bit Quad-core 1.5GHz MTK6737T CPU, let you have the most enjoyable user experience. 3GB RAM and 32GB ROM advance the Apps running speed and files reading speed, and provide space for storing your data, game, Apps, photos, video etc. IP68+ (2M underwater for 1 hour ) Waterproof, Dustproof 1.5M drop test Shockproof Smartphone, Dual Sim Dual Standby (Dual nano SIM card). The unique and thoughtful design has helped S10 Pro to obtain 17 patents. Corning Gorilla Glass 3 makes S10 Pro isolated from accidental damages from sharp-edged stuff scraping. Visible scratch can be lower down by 80%, toughness rising to 200%. Make the LCD screen thinner and lighter, and more lively to the eye. 178-degree view angle with 5-inch screen, high contrast, high brightness,12% increase color gamut compared to the standard color gamut. The waterproof speaker along with the 3rd generation NPX module, bring back the most accurate Louder/Wider/Clearer studio grade experience. You can enjoy a very clear phone talk even in the extremely noisy background. SONY CMOS SENSOR gives you professional performance. Amazing autofocus with the flashlight that works faster than an eye blink, can save every precious memory in your pocket.5MP front camera, your selfie accessories. 8MP back IP68 certified Water & Dust resistance rating. Nomu S10 Pro'S camera can work in the most unexpected environment whether is in the water or among the dust. High-speed software running, by 3GB RAM 32GB ROM, consumes less power. Perfect for large games meet the needs for game enthusiasts. NOTE: Unlocked cell phones can match GSM/WCDMA carriers (like T-Mobile, US Mobile, Simple Mobile, Zip SIM, Walmart Family Mobile, Ultra Mobile, TracFone, Ting (GSM), Red Pocket Mobile (GSMT), Brightspot, GCI, GIV, LycaMobile, MetroPCS.Please check before the order.